Officers | UNL Band Alumni Association, Inc.
Officers are appointed by the elected board members to serve an unlimited term. They are re-appointed each year by the board. About Steve: He is the Event Services Manager for the Lied Center for Performing Arts, where he has worked since 2010. In his role with the BAA, he is in charge of securing venues for our Friday night dinner and post-game party, making catering arrangements for the dinner, arranging speakers for the dinner, and providing leadership on issues throughout the year as directed by the board. He played in the men’s basketball pep ban from the fall of 1989 to the spring of 1992. He was a member of both the Misty’s and Grandmother’s pep bands. 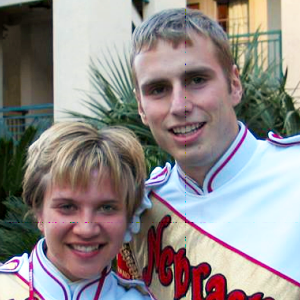 Steve is married to fellow band alum Liz Whitney Pearson (Trombone 1987-1989) and they have a daughter, Ava. Favorite show: It’s a tie between a dance show we did in 2010 and a soul/funk show we did in 2013. In the dance show I got to be Beyoncé in the center of 3 people doing the “Single Ladies” Dance! In 2013, we played “When a Man Loves a Woman” in the style of the 1992 Blue Devils, and I got to play the 4 person trumpet soli with some awesome A Rank friends. My favorite part of game day: I love interacting with all of the fans, especially young band kids who are excited to play in the CMB some day! Play a C#! Why I serve: I love the tradition that the CMB represents, and I’m happy to have an active role in keeping those traditions alive as well as blazing opportunities for new traditions to be established. Alumni weekends are a neat time when those traditions can intersect and members of all ages intereact. GBR! Favorite show: It was Fiddler on the Roof in 2000 and I played xylophone beside my best friend. We had so much fun playing the music and adding visuals! My favorite part of game day: march down because of the buzz of excitement in the air, and it was just a blast! Why I serve: I have served in three positions on the BAA board- Recording Secretary, Vice President, and now General Manager. The CMB meant a lot to me in college and I want to ensure that the program continues to thrive so that new members of the CMB can have the best experience possible as well! 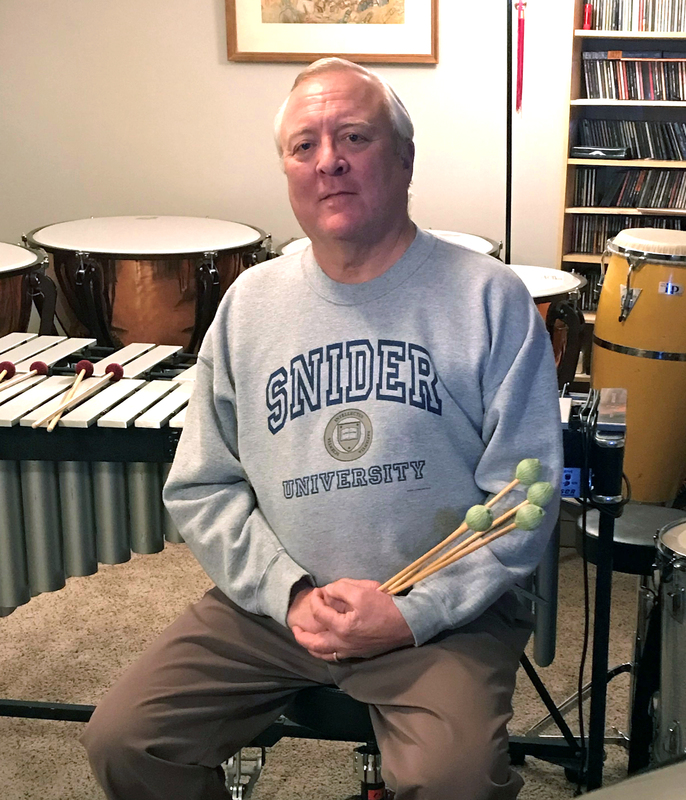 My band story: My dad and love of music are the reasons I joined the marching band. My dad played alto sax in the marching band and he would always return for Band Alumni Day. I remember going with him to one of those days my senior year in high school, seeing the band on the field, and thinking next year that is going to be me. I did not go to UNL my freshman year, but because they let in students from other colleges back then, I was able to attend Nebraska Wesleyan and audition (and join!) the CMB. 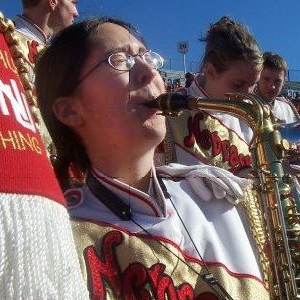 I transferred to UNL the following year, and marching band had a lot to do with it. My favorite show was my first one when we played the music of Blood, Sweat, and Tears. I was not familiar with this band, but the music was memorable and fun to play. Marching band was my favorite class, and I met so many new friends because of it. Now dad and I come back every year for Band Alumni Day to play, march, and see old friends. Why I serve: I currently serve as the recording secretary for the BAA. Having the chance to be a part of and serve something I care about so much helps satisfy my love of music and marching band camaraderie. Favorite Band Memory: In 2012 we traveled to Michigan for our away game, came back to Lincoln and left a few weeks later for the Big 10 Championship game, came back, performed Highlights concert, and two weeks later left for Florida for the Bowl Game! 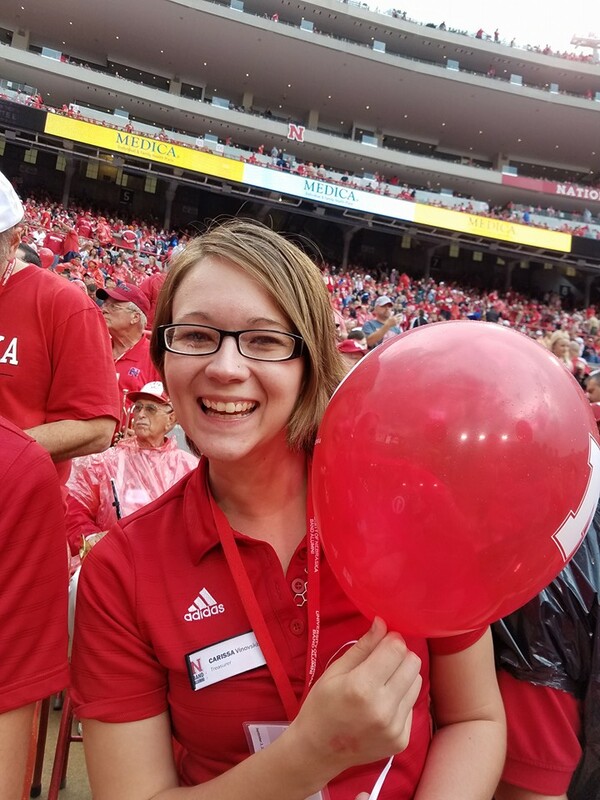 Why I Serve: I love serving the Band Alumni Association because the Cornhusker Marching Band contributed so significantly to my time at UNL in the friendships made, lessons learned, and amazing experiences that I had. I am so proud to be a part of an organization that allows me to give back and help continue to serve the University of Nebraska bands, even as an alumni. Favorite show: “Fiddler on the Roof “ was my first field show, so it will always be my favorite. Highlights: Participating in the Cornhusker Marching Band and being able to experience such things as the Rose Bowl Parade was one of the highlights of my college career. The band experience taught me leadership skills I carry today. 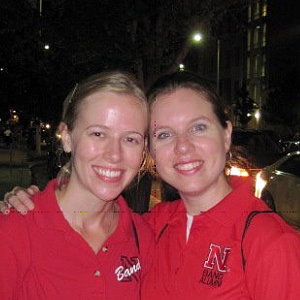 Why I serve: It feels good to be involved in the UNL Band Alumni Association. The organization is filled with great people, and I hope we can work together to benefit the current students of the band in multiple ways. I want their experience to be a great one! About: I’m from Lincoln and attended UNL. After grad school, I taught college band/percussion for 3 years at the University of WI-Green Bay. In 1981, I auditioned for and was accepted to the United States Navy Band-Washington DC, where I served for 30 years. 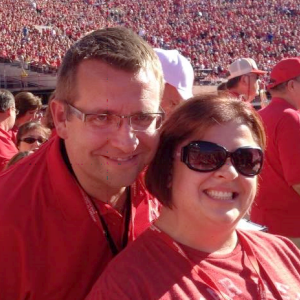 My wife Ann (who I met in marching band) and I moved back to Lincoln last July. I’m currently teaching drum lesson at my home studio and volunteering at various school music programs in the area. Favorite Memory: Way too many to list, but I’m always happy to share. Why I serve: To tell our members the stories of our scholarship recipients and to encourage continued support of the Jack Snider Band Alumni Fund and the Don Lentz Memorial Band Fund. 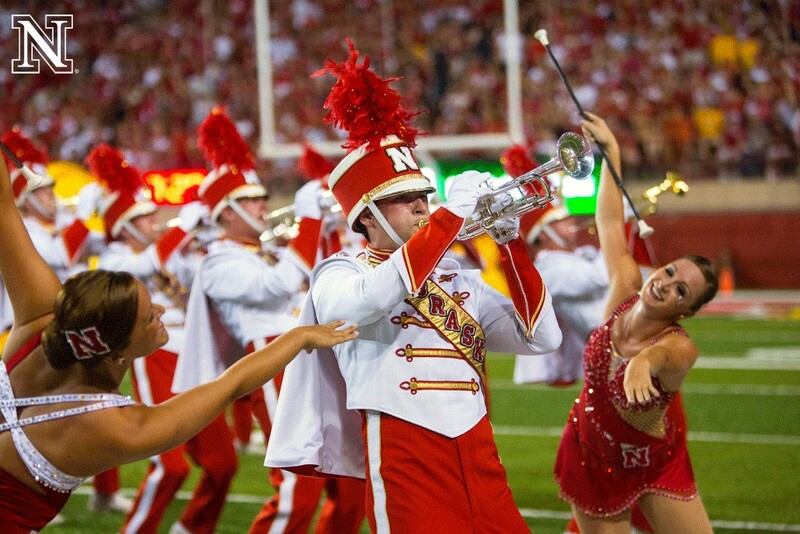 And, to help with the continued success of our UNL Band Alumni Association activities. Favorite memory: Seeing my name on the roster the Sunday of cuts. Not believing I was making a long-time dream come true. Obviously the pre-game run on is highly memorable too (who doesn’t have that as their #1 memory of being part of the Marching Red?). Another favorite memory was the Fiesta Bowl parade in Phoenix ‘89-’90 and seeing my family along the route cheering us on. It was special to be able to share my band experience with close family members who live in Phoenix and who would not otherwise have the chance to see me march in Lincoln. Why I serve: Because I want to give back to something that gave me so much.